Brooding Strangers! Secret Pregnancies! Enigmatic Rakes! 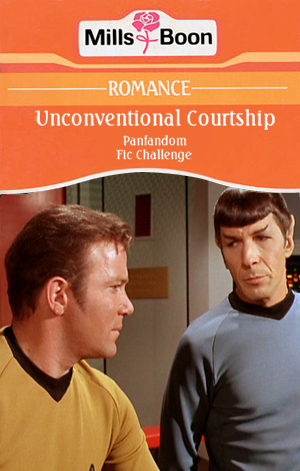 All those tropes (or conventions, if you will) you love to hate (until you discover their secret, tragic backstory and fall head over heels for them) are here, ready to be used for humour and awesomeness in a new fic about your favourite star-crossed lovers. 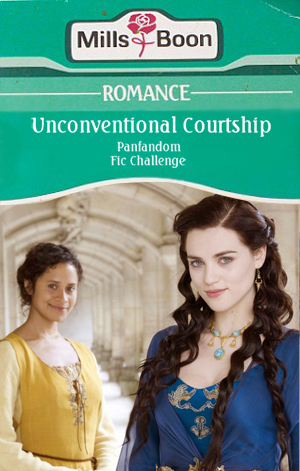 'Unconventional Courtship' is a panfandom challenge that aims to produce fics longer than 1,000 words based on a Mills & Boon/Harlequin novel summary. It is inspired by the 2006 Blake's 7 challenge run by blakefancier. All fandoms and pairings are allowed. The fest is currently OPEN. Your mods are: aralias and tidal_race. Please PM or email heroic.tendencies@gmail.com if you have any questions/problems. Awesome prompt generator is here (credit to john_amend_all). Our fanlore page, where you can add thoughts or memories about the fest, is here.